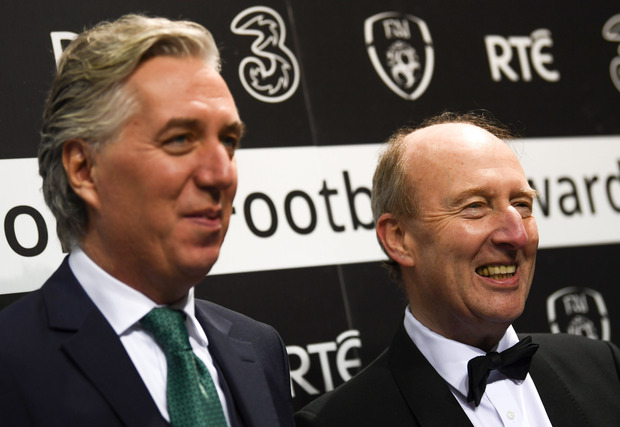 SPORTS Minister Shane Ross has said a loan given by ex-FAI chief John Delaney to the organisation has “raised serious questions about governance and financial controls in the FAI”. In his first comments on the controversy, Mr Ross said he expects Sport Ireland to compile a report into why the FAI needed a €100,000 bridging loan from their chief executive. “I will publish [the report] without fear or favour to anybody,” he told the Dáil. However, Mr Ross refused to engage in any debate on the governance of the soccer association because he feared it might prejudice the work of Sport Ireland, who oversee the use of public funds by sporting bodies. He was responding to questions from Fine Gael TD Noel Rock who said people were “taken aback by the ongoing corporate governance and financial issues within the FAI”. “I strongly believe now is the time to set the course right, set the record straight, and commence an independent examination into both management and finances, which further State funding will be contingent upon,” Mr Rock said. The Dublin North West TD questioned why senior management structures in the FAI were changed in recent weeks, including the creation of a new role for Mr Delaney. He said it was incredible that a report could be produced and passed with a unanimous vote of the FAI board within six weeks. Mr Ross said nobody “has greater commitment to corporate governance in this House than I have but I want to see a fair procedure”. But he added that it is “very important a body like Sport Ireland is left to do this work”. The minister said it would be “utterly wrong for me here to answer the questions you are asking”.